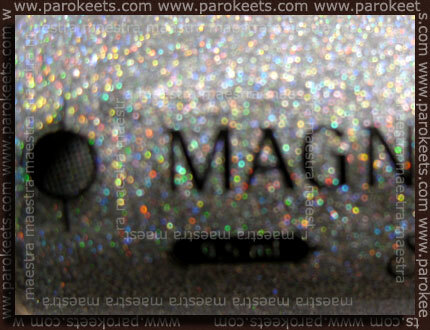 First off, I wanted to show you one of Magnetic polishes from the Stripe It line. 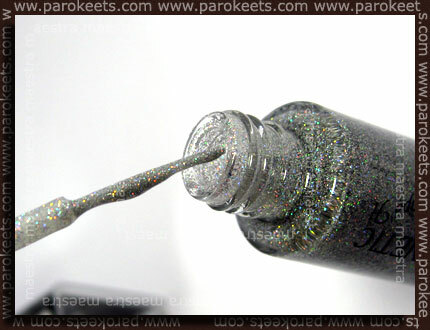 The shade is called Hologram and it’s a nail polish with a very thin brush which is meant to be used for nail art. 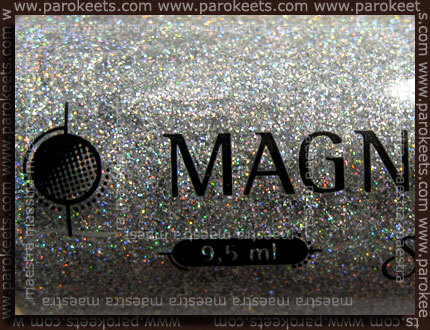 Hologram has a clear base, which is packed with tiny holographic glitter. These nail art polishes are quite large. They are 9,5ml, while Essence tip painter polishes are only 4ml. Look at the comparison pictures below. I don’t have a lot more to say. Magnetic Stripe It polishes cost 7€ each. Now I’ll show you my little nail art. I have to warn you, that I’m not a free hand nail art person. I mean, I don’t feel the need to free hand paint my nails. Konad is way easier for me. However, I’ve tried some classical and easy to do nail art, which I’ll show you next. 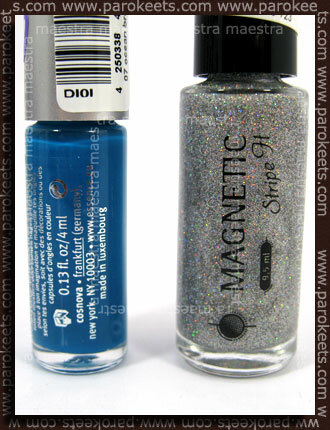 First I started with two Magnetic polishes: Blue Curacao (creme blue) and Shimmering Silver (silver holo). Both were applied in two coats. Although both polishes were already introduced HERE, I have to point out again, that I’m really impressed by the formula. They are on the watery side, but well pigmented and these polishes don’t chip easily. It’s a huge plus! I was really impressed by how well they stuck to my nails. 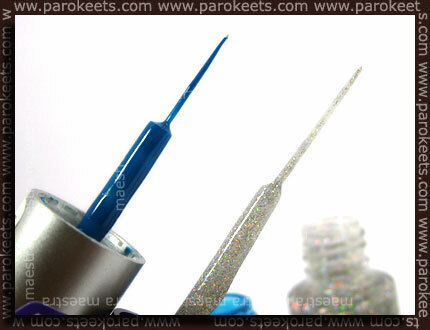 For the mini nail art I used Blue Curacao applied with Essence tip painter brush over the Hologram. To finish it off, I added some blue rhinestones. I think it turned out well. Not spectacular, but quite OK. What do you think? Unfortunately from the pictures you can’t see Hologram polish very well. IRL it sparkled like crazy. 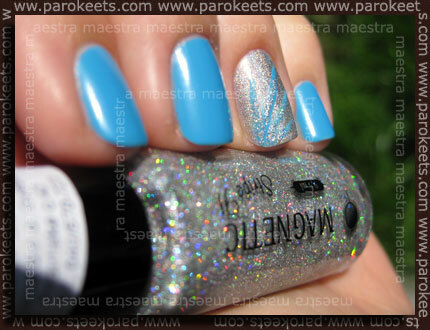 i know how much u love the holo & blue.. remember ur miss blue.. but now i think im gonna call u..Miss holo sparkling blue!! :haha: anything that holo is awesome!! I like. :wub: V živo se je res lepo lesketal tale mini lakec. Kako je bilo pa z odstranjevanjem?